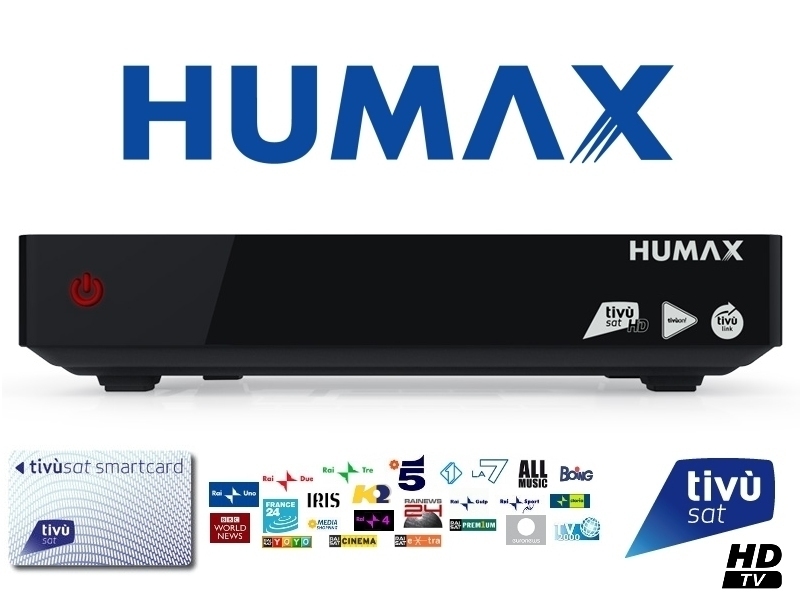 With this official Tivu licenced Humax Tivumax HD6600S Tivusat HD satellite receiver and card package you can be up and running with all your favourite Italian national television channels in just minutes. 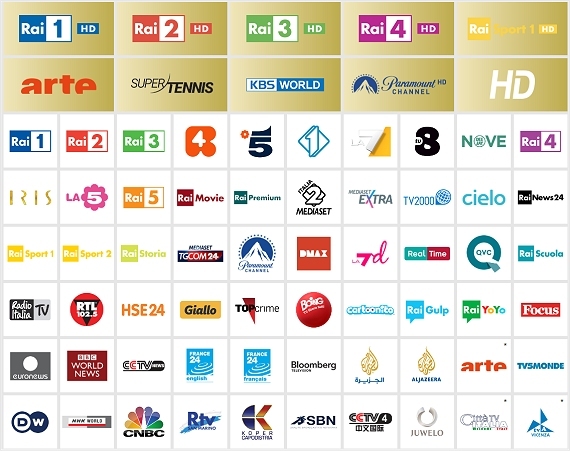 TivuSat HD consists of over 65 superb subscription free Italian TV channels including Rai HD, Rai Uno, Rai Due, Rai Tre, Rete 4, Canale 5, Italia 1, LA7, Iris, Rai Sport and Rai Sat Cinema as well as over 30 Italian radio channels. No more loss of viewing on Canale 5. With TivuSat encryption blackouts due to programming rights issues are no longer an issue. Every programming genre including movies, sport, lifestyle, general entertainment, the arts, music, drama is covered with this package of channels. With the addition of a USB hard drive you can pause and record your favourite live programmes. Add a huge 1TB hard disk providing hundreds of hours of recording space for just £69.95 by selecting the option above. The world in high definition. The high-definition (HD) is definitely more relaxing for the eyes. Compared to standard definition, HD offers sharper details, the best grades, colors and contrasts more real and more accurate contours. To have time in the palm of your hand. Enjoy the pleasure of true high-definition video and audio. Simply connect the HDMI cable to any HD source to enjoy the sights and sounds optimized whenever you want. Find out in detail a whole week of TV programming. The electronic guide to tivùsat programs (EPG) displays all of the TV programs information for the coming days on your TV screen. Also, by connecting an external memory unit to the receiver, you can schedule recordings directly from the guide. Access your digital media from any device in your home. Our receiver can access the network, to USB drives and computers in your home, allowing you to watch and listen to all your videos, your photos and your music in one place. To truly cinematic sound experience. It brings the amazing digital sound of the best cinema in the world right into your living room. Record your favorite programs on an external hard drive. With two USB 2.0 ports, with Tivumax HD will be able, in one, connect it to a hard drive to record your favorite events, while in the door, you can export recordings to affect them on other devices. Protect your children from unsuitable program them. Blocks programs using the password-protected Parental Control. This is a very easy receiver to program which is neat and compact, full of features including HD, Electronic Programming Guide and certified for receiving Italian channels through TVUSAT non-subscription service. Supplied with with HDMI cable. 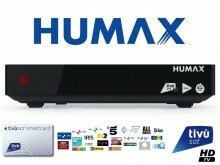 Click the button below to add the Tivusat Humax Tivumax HD-6600S Official Italian Receiver and Card to your wish list.